Love Island was a smash hit last summer, with an average of 1.7 million Brits tuning in to watch it every night. The contestants enjoyed continued popularity after leaving the infamous villa, with the likes of Chris Hughes, Kem Cetinay, and Amber Davies accruing millions of social media followers over the past year. The former Love Island contestants have capitalised on their new-found fame through sponsored posts, as brands everywhere line up to use the much-loved Love Islanders as a way to get their products in front of millions. But how much are they getting paid to advertise these brands per post? 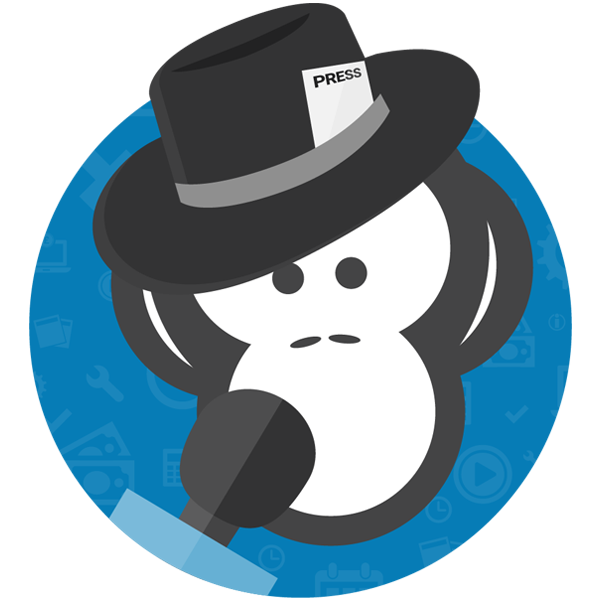 According to the State of Influencer Marketing, each follower on social media is worth £0.0043. 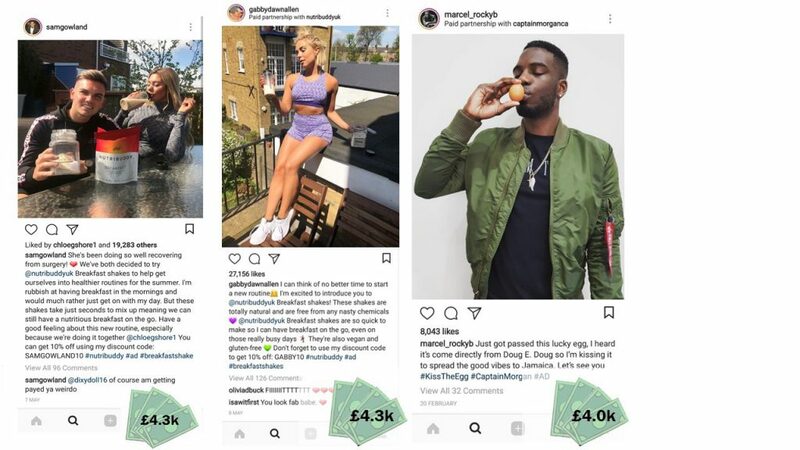 OddsMonkey have analysed Love Island’s 2017 contestants’ Instagram followers to calculate how much each of the ten most followed contestants are earning through sponsored ads on social. Following his successful stint on Love Island, Kem Cetinay went on to compete in Dancing on Ice which prompted even more people to follow him on social media. In fact, he has the strongest social media presence out of all the former Love Island contestants, with 2 million followers on Instagram alone. 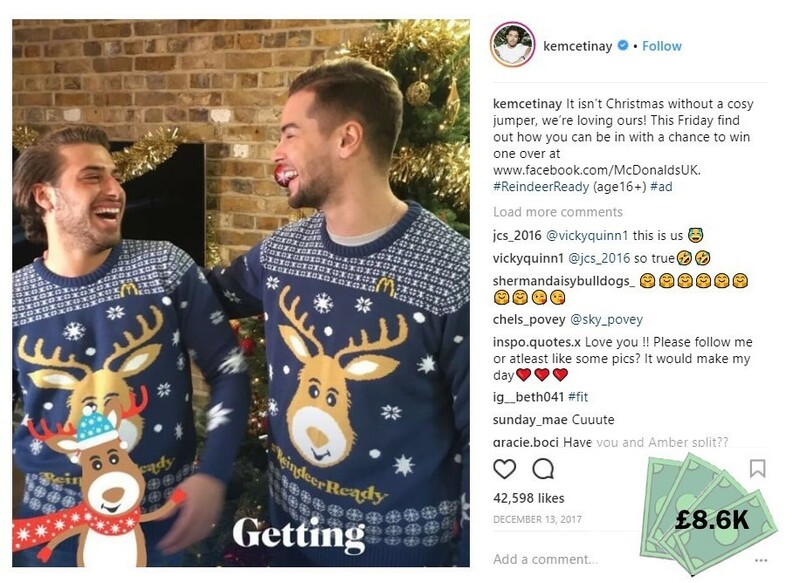 Kem has done a series of sponsored ads, partnering with well-known brands, and earning a staggering £8,600 for one post thanks to his large army of social media followers. The ladies of Love Island all enjoy a large social media following which means hordes of beauty, hair and lifestyle brands are jumping at the chance to use these ladies to promote their products. 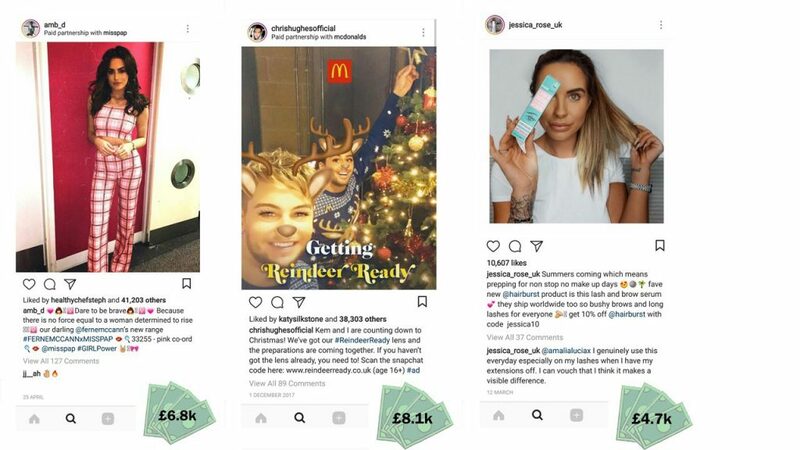 Joint winner, Amber Davies, may not have as many followers as her ex Kem Cetinay, but with 1.6 million followers on Instagram, Amber has the potential to earn around £6,880 for just one promotional post. Chris Hughes also has a huge earning potential through social media promotion; his 1.9 million followers could see him earning £8,170 per post. Similarly, Olivia Atwood’s 1.5 million followers can see her rake in £6,450 for every promotional Instagram post. Camilla is seen to be one of the least active social media influencers, with very little promoted posts. However, for every post she shares, she is estimated to be earning £5.5K. Sam Gowland’s recent relationship with Geordie Shore’s Chloe Perry has boosted his social media status, with the twice dumped Love Islander boasting 1 million followers on Instagram. Brands such as Nutribuddy are paying the social media influencer up to £4,300 to promote their brand to potential customers. 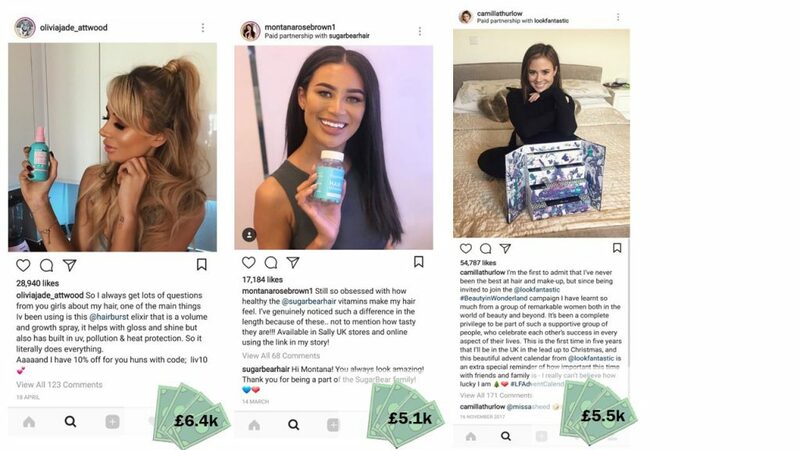 Jessica Shears was also approached by Nutribuddy to endorse their brand, however, as Jessica has 100,000 more followers than Sam Gowland, she can charge £430 more, earning £4,730 for just the one promotional post. Marcel has been found to earn the least on social media and is rumoured to have lost a few followers recently on Instagram due to cheating allegations. 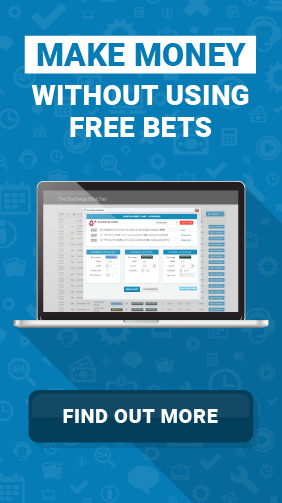 Peter Watton, spokesperson at OddsMonkey said: “As social media becomes a more influential marketing tool for brands, social media influencers are keen to capitalise on their online popularity. 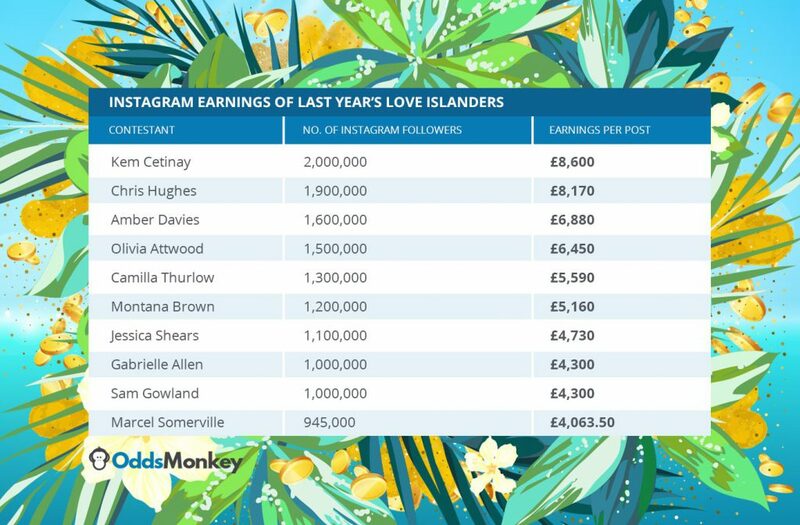 We were surprised to discover how much last year’s Love Island contestants have been able to earn from sponsored posts since leaving the villa as a result of their new-found fame.